You're 16 - 24? Then we’ve got just the ticket (pardon the pun!). Join our 16=24 membership scheme and you'll be eligible to purchase a £5 ticket for any show listed below. 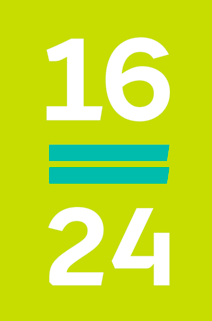 Joining our 16=24 scheme is completely free. Simply complete the form below to auto email us, and we’ll take it from there. Once your membership has been approved you will be able to book online using a unique promo code to access your £5 tickets. Only one £5 ticket can be booked per person, per show. Tickets must be used by the membership holder only. Photographic ID with proof of age must be produced when collecting tickets. If ID cannot be provided, tickets will be charged at standard price. Please allow up to 7 days for your membership to be approved. Check out all the shows available within your 16=24 membership.